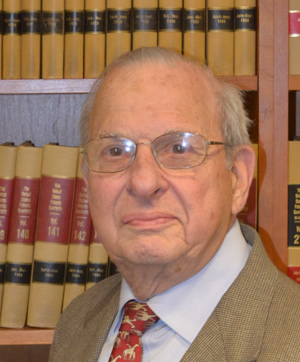 Jay M. Finkelstein | Browdy and Neimark, P.L.L.C. Mr. Finkelstein is a patent attorney specializing in patent prosecution with extensive experience in a wide range of technical fields including electrical devices, electronics, computer applications, semiconductor manufacture, communications, including cellular communications, television, medical devices and electromechanical systems. Mr. Finkelstein began his career in the patent field as an Examiner in the U.S. Patent Office, where he examined patent applications in the field of computers. He then served as a Patent Advisor at the U.S. Army Materiel Command Harry Diamond Fuze Laboratory, followed by employment as a U.S. Patent Attorney at several patent firms in Paris, France. After returning to the U.S., he entered private practice in 1965 and represents a number of clients in the U.S. and Europe. Mr. Finkelstein is fluent in both French and English.